The suit trend has been around for a while (and if you’re unsure, just take a look at the Fall 2017 runways), but the classy outfit continues to dominate the racks and streets today. From slouchy to structured, we’ve seen various iterations of the trend throughout the years. And while the suit and biker shorts pairing is having a moment, dressier fashionistas can experiment with the boxy blazer and dress combo instead. When paired with a blazer, the variety of dresses featured on Woman Within creating a look that is both sharp and feminine at the same time. This is the more approachable method to the trend, and can easily be taken from the office to after-work drinks and events. Uniquely bohemian while still maintaining an air of luxury, the scarf print is hailed by Glowsly as one of the hottest patterns of the season. Lately, we’re seeing this print show up not just on scarves, but even tops, pants, and dresses. The interesting visual is certainly a breath of fresh air compared to the typical spring florals that we revive this time every year. The man sandals debate has got quite heated in the fashion world, more so last year when the likes of Justin Bieber and Kanye West decided to add socks to the mix. This spring, sandals for men are in full swing and have become chunkier than ever. In fact, most menswear shows featured their own pair of “mandals” in one form or another. But it was the head-turning runner sandals of luxury fashion house Fendi that made the most waves, boasting the chicest silhouettes we’ve seen yet. The fashion world always loves a good throwback, and nothing screams nostalgia more than this season’s resurgence of the tie-dye look. 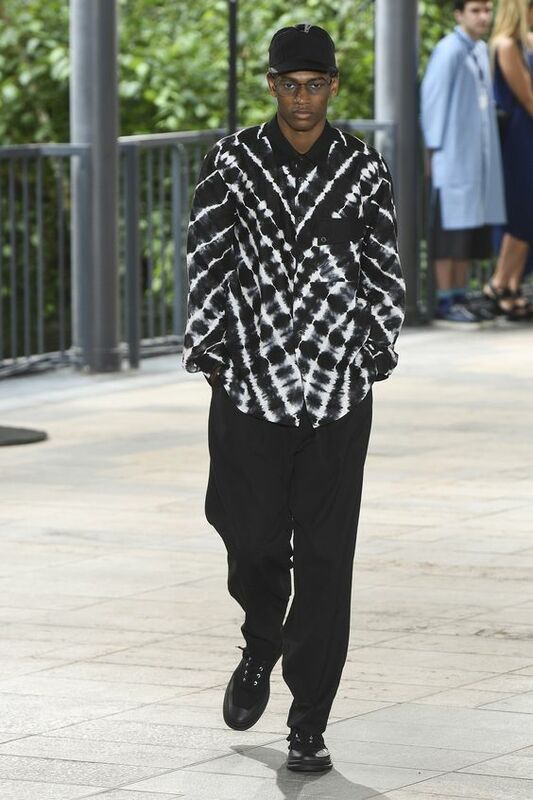 For a more sophisticated take on this vintage trend, this tie-dye collared shirt from Issey Miyake comes in sleek black and white. And because it doesn’t go with the usual rainbow paint palette, even the less daring can pull it off with confidence.